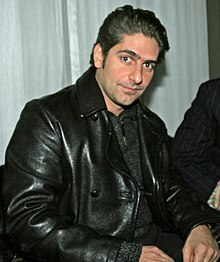 James Michael Imperioli (n. 26 martie 1966), cunoscut doar ca Michael Imperioli, este un actor și scenarist american. Este probabil cel mai cunoscut pentru rolul lui Christopher Moltisanti în serialul Clanul Soprano. A apărut de asemenea ca Det. Nick Falco, înlocuitorul Det. Ed Green în seria televizată Law & Order. 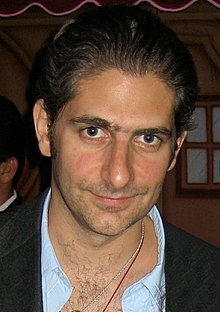 În sezonul 2008-2009 Imperioli l-a interpretat pe Detectivul Ray Carling în varianta americană a serialului Life on Mars. Joacă de asemenea rolul lui Len Fenerman în The Lovely Bones. Alexa (1988) – "Acid Head"
Lean on Me (1989) – "George"
Jungle Fever (1991) – "James Tucci"
Fathers & Sons (1992) – "Johnny"
Sister Act 2 (1992) – "Frankie"
Malcolm X (1992) – "Reporter at Fire Bombing"
The Night We Never Met (1993) – "Dry Cleaning Customer #1"
Joey Breaker (1993) – "Larry Metz"
Household Saints (1993) – "Leonard Villanova"
Scenes from the New World (1994) – "Billy"
Touch Base (1994) – "Bennie"
Hand Gun (1994) – "Benny"
Amateur (1994) – "Doorman at Club"
Postcards from America (1994) – "The Hustler"
Bad Boys (1995) – "Jojo"
The Basketball Diaries (1995) – "Bobby"
Clockers (1995) – "Detective 'Jo-Jo'"
Dead Presidents (1995) – "D'ambrosio"
Girls Town (1996) – "Anthony"
Blixa Bargeld Stole My Cowboy Boots (1996) – "Johnny"
The Addiction (1995) – "Missionary"
Sweet Nothing (1996) – "'Angel' the crackhead family man"
Girl 6 (1996) – "Scary Caller #30"
I Shot Andy Warhol (1996) – "Ondine"
Trees Lounge (1996) – "George"
Last Man Standing (1996) – "Giorgio Carmonte"
A River Made to Drown In (1997) – "Allen Hayden"
Firehouse (1997) – "Lt. O'Connell"
The Deli (1997) – "Matty"
Office Killer (1997) – "Daniel Birch"
Witness to the Mob (1998) – "Louie Milito"
Too Tired to Die (1998) – "Fabrizio"
On the Run (1999) – "Albert DeSantis"
The Sopranos (1999–2007) – "Christopher Moltisanti"
Summer of Sam (1999) – "Midnight"
Auto Motives (2000) – "Stud"
Disappearing Acts (2000) – "Vinney"
Love in the Time of Money (2002) – "Will"
High Roller: The Stu Ungar Story (2003) – "Stu Ungar"
My Baby's Daddy (2004) – "Dominic"
The Five People You Meet in Heaven (2004) – "Captain"
Law & Order (2005) – "Det. Falco"
The Simpsons: "The Mook, the Chef, the Wife and Her Homer" (2006) – "Dante, Jr."
The Inner Life of Martin Frost (2007) – "Jim Fortunato"
The Lovebirds (2007) – "Vincent"
Oprah Winfrey Presents: Mitch Albom's For One More Day (2007) – "Charley 'Chick' Benetto"
Stóra Planið (2008) – "Alexander"
Life on Mars (2008–2009) – "Ray Carling"
The Lovely Bones (2009) – "Len Fenerman"
Mercy (2010) - "Harold Pindus"
Ultima editare a paginii a fost efectuată la 25 aprilie 2016, ora 06:29.